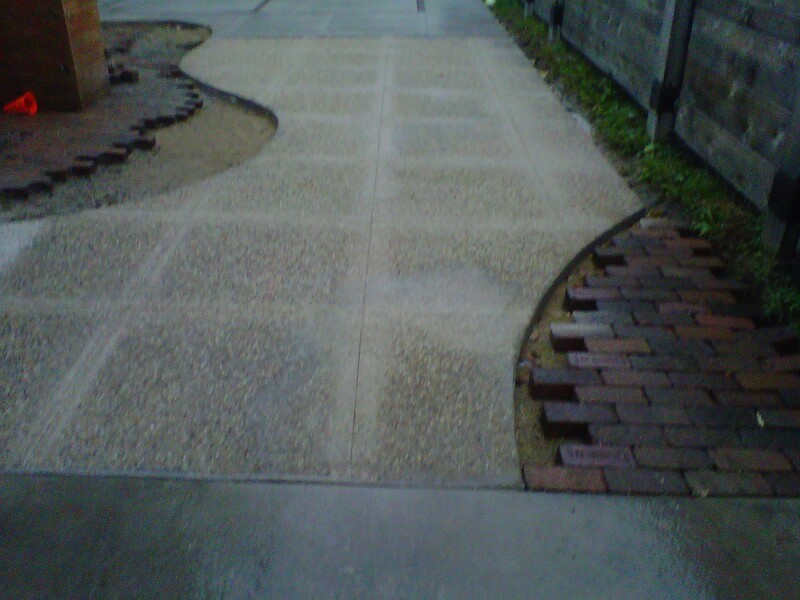 Exposed aggregate finishes are perfect for patios, driveways, walkways, in bands or fields, and many other flatwork applications. 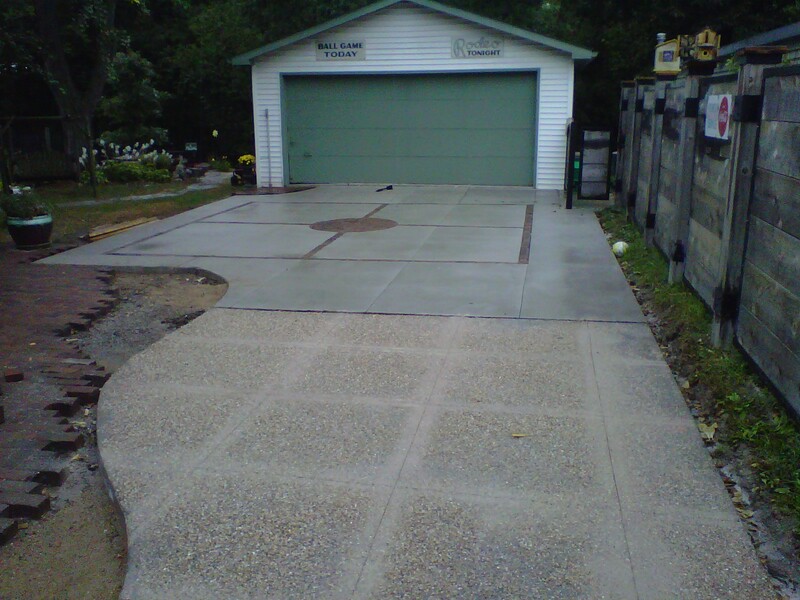 Properly placed exposed aggregate concrete, in either bands or fields, contrasts beautifully with colored, scored, sawcut, stamped, or textured finishes. Timing is critical in exposing aggregate both in how soon the concrete can be "seeded"; and in the timing of exposing the aggregates - if the water or chemical method is being used. 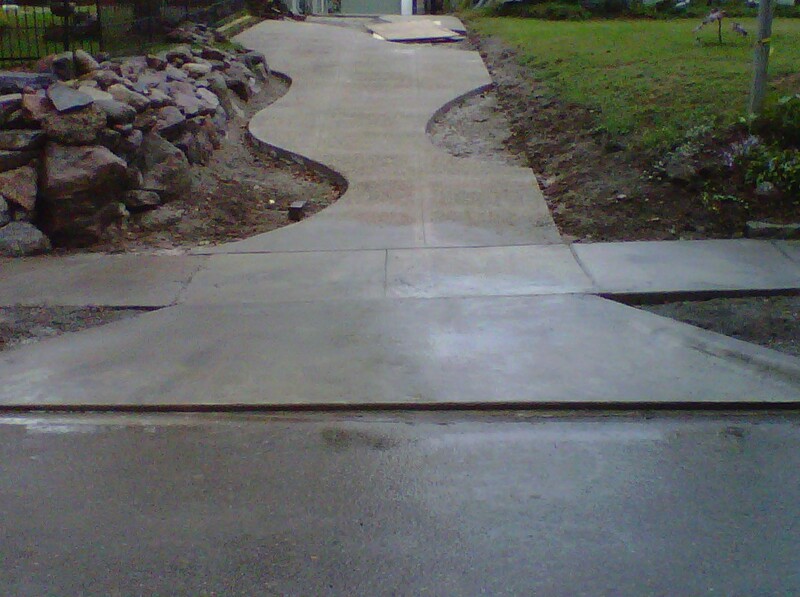 Cleaning exposed aggregate concrete soon (after 2 weeks) is important to remove any cement paste residue and brighten the exposed aggregates. 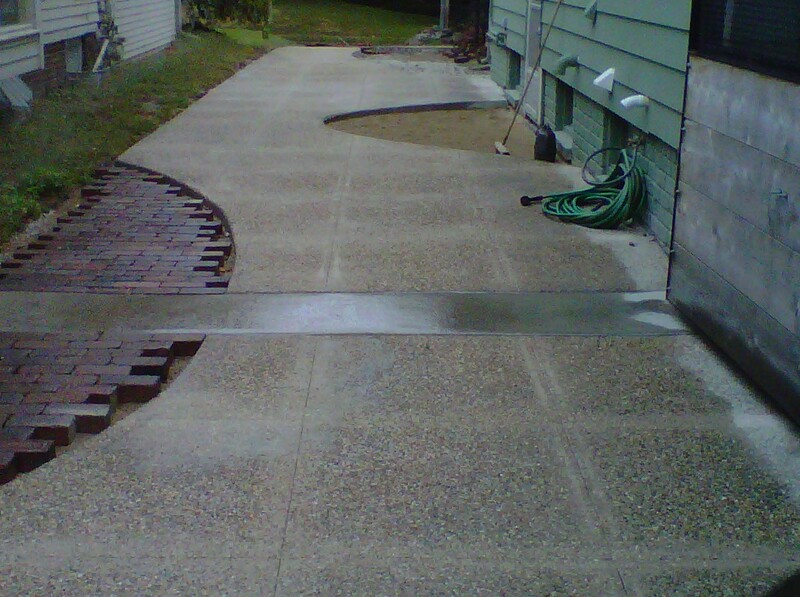 Sealing exposed aggregate concrete with a clear coating, consisting of acrylic resins, brings out the natural color of the aggregates. 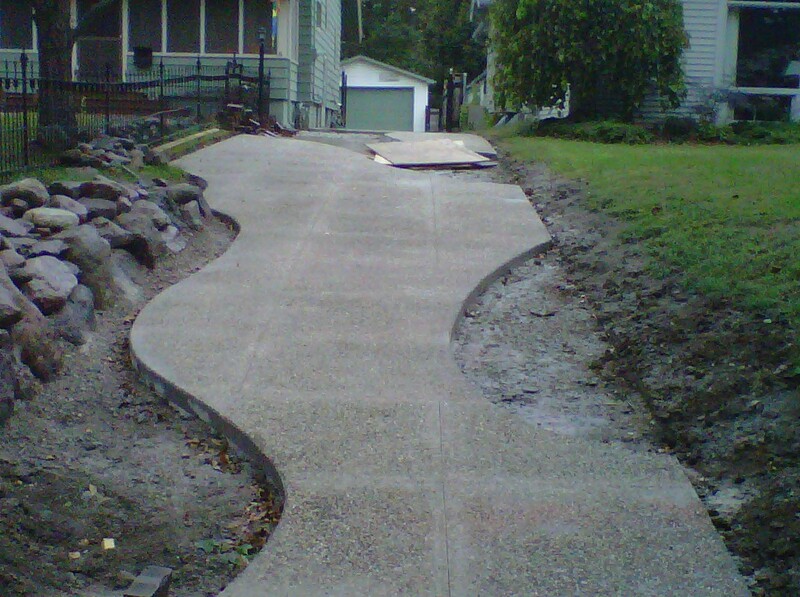 Exposed Aggregate are complicated jobs requiring experts like us. 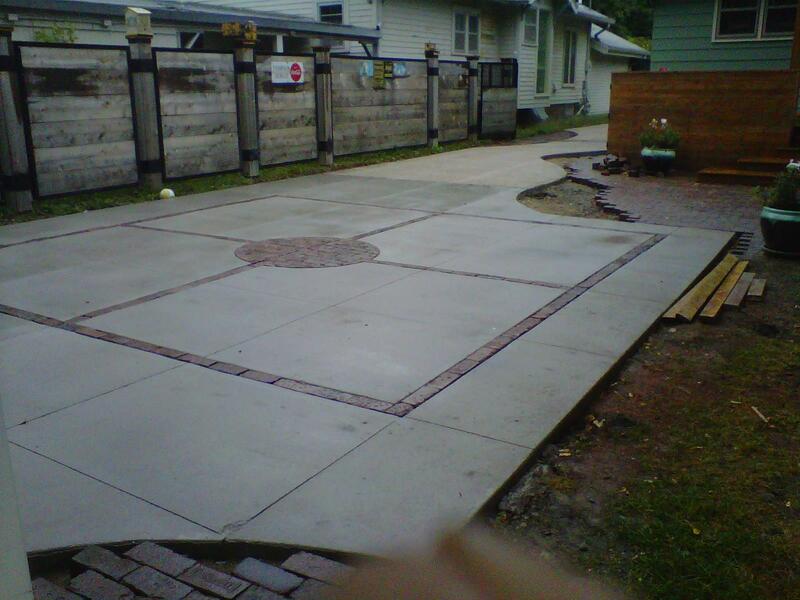 You can trust that your aggregate finish will come out right.